The Twisted Electrons Acid8 MKII is a highly-compact hybrid synthesizer module featuring an 8-bit oscillator with 16 waveforms to choose from. At the heart of the Twisted Electrons Acid8 MKII is a powerful step sequencer, accompanied by a varied range of controls and parameters for modulating the sounds you create. 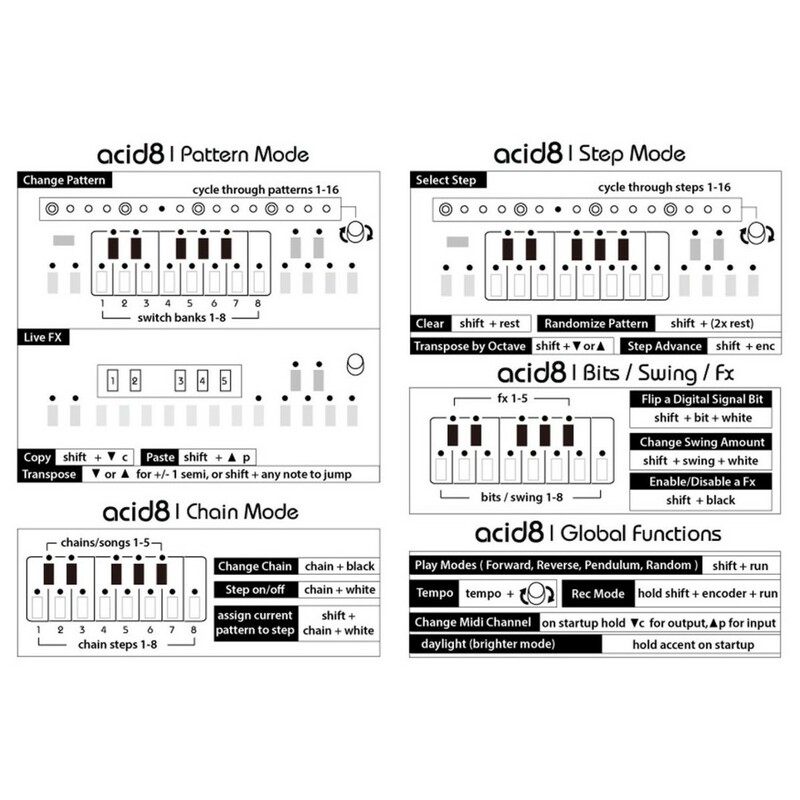 The Acid8 MKII's step sequencer is easy to use and offers powerful sequencing options, allowing you to create rhythms and patterns on the fly. An arpeggiator and bit crushing controls are also included for added versatility, allowing you to manipulate the sound even further. Rest, Accent, Slide and Tempo buttons allow you to change the style and speed of your sound, for in-depth control. The Twisted Electrons Acid8 MKII is a versatile and highly portable synthesizer module unit that features a built-in step sequencer with support for up to 128 patterns in total. The Acid8 MKII features 16 waveforms to choose from, allowing you to create complex sounds on the fly. You can also apply up to 5 DSP effects at once as well as edit the nuances of your sound with the Rest, Accent, Slide and Tempo buttons. The built-in step sequencer allows up to input up to 16 steps, allowing you to create melodic rhythms and sequences with ease. All the signal beyond the oscillator is complete analog, giving that vintage VCA-style punch and crunchy resonant low pass filter. 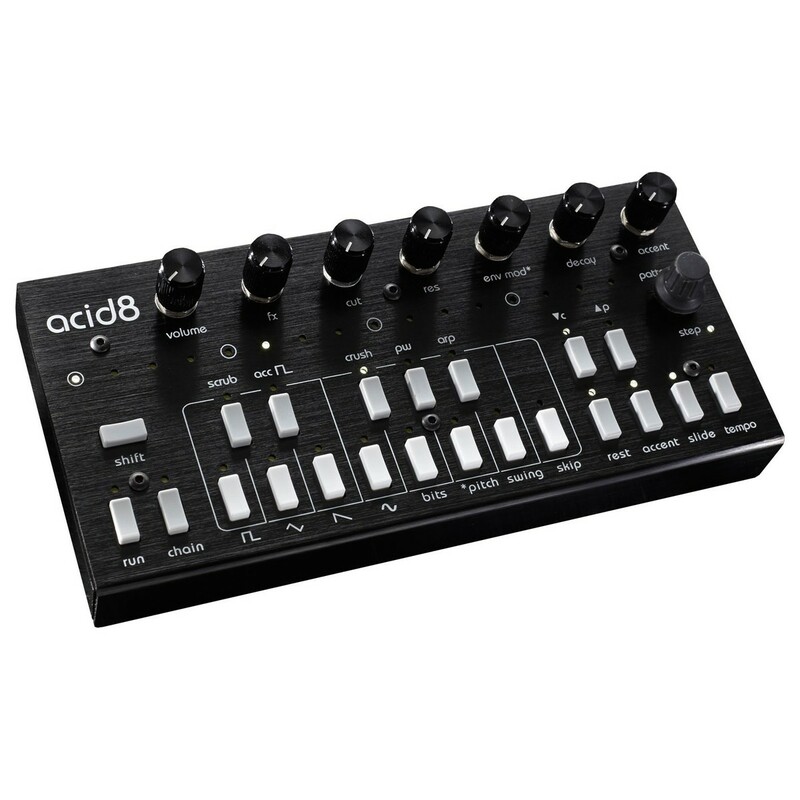 The Acid8 MKII features 7 knobs, 1 rotary encoder, 22 buttons and 40 white LEDs with adjustable brightness, giving you everything you need to create a varied range of sounds. 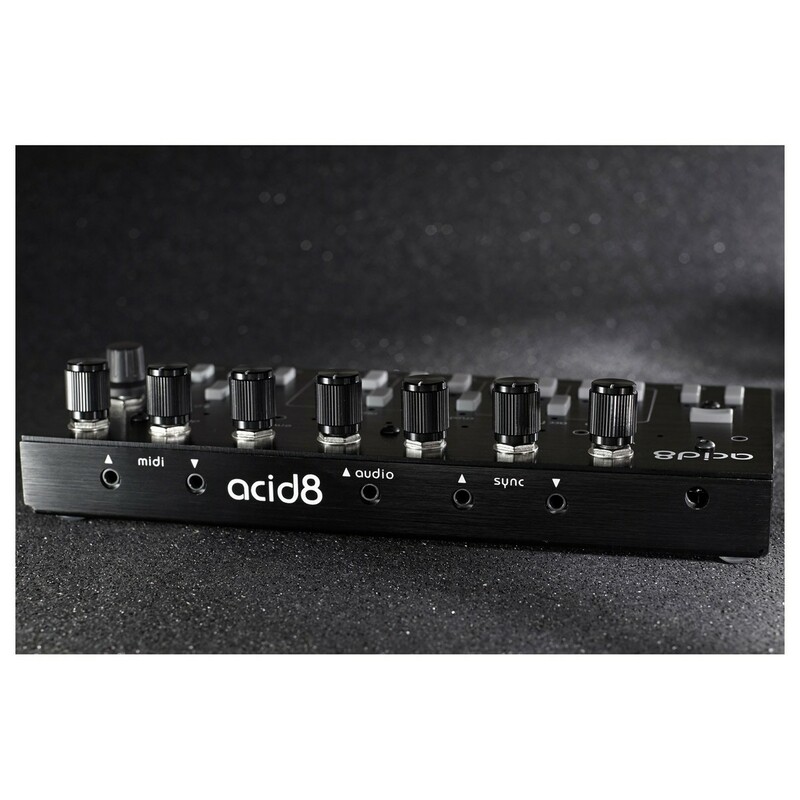 The Twisted Electroncs Acid8 MKII gives you everything you need to create rich and articulate synth type sounds and sequences wherever you are. You can use the ‘Tap Tempo’ control to manually drum in the tempo you desire as well as being able to create off-the-wall patterns using the ‘Pattern Randomizer’. The real time pattern recording (REC MODE) allows you to capture your patterns for use later, with up to 5 chains (8 patterns). Pulse-Width modulation and Sample Rate Reduction gives you the ability to modulate your sounds for added grit and punch, allowing you to bring the hidden depths out of your waveforms. The compact yet robust design is constructed from brushed aluminium with high-quality controls for optimal durability. 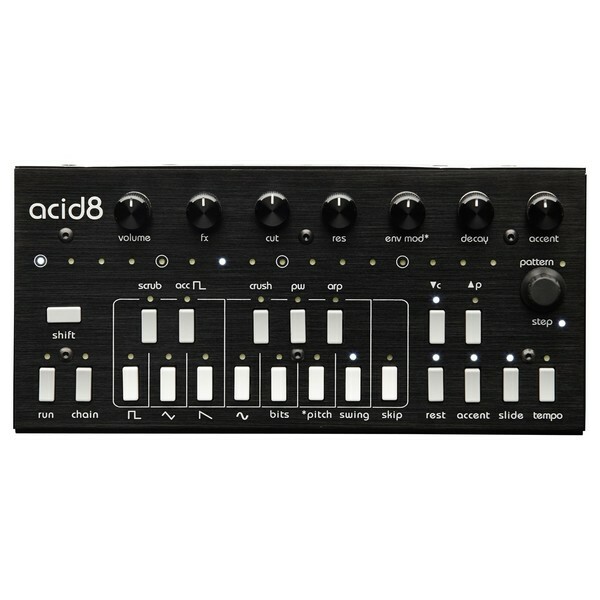 The Acid8 MKII includes a wide range of modulation controls, expanded using the editing software. Using the Software Editor for Acid8 MKII allows you to edit waveforms and patterns even more, allowing you to hand draw custom waveforms and more. MIDI In & Out connections are included for using with external devices such as computers, audio interfaces and more.